Roomdimensions has developed a control room with the corresponding equipment to manage the rail traffic. The space counts with a OCC Control Room equipped with 6 workstations for 5 operators and 1 supervisor, and a Technical Control Room with 1 more workstation. Also, a large videowall composed by 6x 55” screens has been installed to complete the operation environment. Roomdimensions has been adjudicated a new Dubai Police Control Room, providing a global solution for the operational environment that includes the technical furniture and ergonomic solutions for the operators. The LAN console range has been used for the project, since it offers an excellent design with innovative features, allowing a perfectly neat work post with all the necessary technological components. The main feature of these consoles is the lifting system activated by 2 lateral pistons that allow the operator to sit down or stand up depending on individual needs. The Al Rajhi Bank is a Saudi Arabian bank and the world's largest Islamic bank by capital. The bank is a major investor in Saudi Arabia's business and is one of the largest joint stock companies in the Kingdom, with over SR 330.5 billion in AUM ($88 billion) and over 600 branches. Al Rajhi Bank also has branches in Kuwait and Jordan, and a subsidiary in Malaysia. Roomdimensions has equipped the control room for the Dirección General de Trafico- DGT (or the General Traffic Authority) located in Seville, Spain, through the temporary consortium known as UTE formed by the SICE-SISTEM. The DGT is an autonomous organism dependent on the Spanish Ministry of Interior responsible for the enforcement of the road policy. starts operation in March) and 2 Area Control Centers. Roomdimensions supplies the control room centre for the Israeli company ICL. The project has been developed thanks to the strategic alliance between RDI, Fibernet & DM companies. ICL is a global manufacturer of products based on unique minerals, fulfils humanity’s essential needs, primarily in three markets: agriculture, food and engineered materials. ICL’s operations are supported by worldwide distribution and supply chains. Their mining and production sites are located in Israel, Europe, North and South America and China employing 13,000 people worldwide. The control room has an area of 268 m2 and capacity for 20 workers divided into 16 operators and 4 supervisors. Every operation work post consists of 4x24” monitors for the operators and a single 24” monitor for the supervisors. Also, space counts with four audiovisual videowalls provided by a 45” LCD monitor each one located on the corners. Dubai’s Roads and Transport Authority (RTA) has launched an enterprise command and control centre, the EC3, which will act as a unified platform linking various control centres of the Authority’s operational agencies with an integrated central control unit. According to the authority, the command and control centre will prop up the RTA’s efforts in easing traffic congestions and improve customers’ transit experience. Roomdimensions has supplied the 2 meeting consoles for the Golden and Silver Crisis Rooms, the 7 operator consoles, and all the CXO chairs (30u). Both crisis consoles are equipped for 15 users. Roomdimensions, through its local partner, has been adjudicated the new Dubai Police Command Center, providing a global solution for the operational environment, which includes the space design as well as the supply of the technical furniture and ergonomic solutions for the operators. The LAN console range has been used for the project, since it offers an excellent design with innovative features, allowing a perfectly neat workpost with all the necessary technological components. The project was developed using the new range of LAN consoles, which allows you to create highly ergonomic and visually light work environments, with a fully open technical solution that provides a highly aesthetic value to the environment. Each user workpost integrates an area for the location of the computer equipment, which is integrated in the very own structure of the control console, and a rear compartment called "Device Support System" destined to the location of peripherals, SFF equipment and all connectivity elements. Roomdimensions has equiped the new Telecomunications Regulatory Authority (TRA) control room, located in Dubai. The space is divided into 2 main environments: Main Control Room & Crisis Room. The proposal for the operator workposts located in the Main Control Room employs the LAN console product range, a top product of high performance which excels in versatility and adaptation to the 24x7 environments, where it is necessary to count on innovative products, with the most advanced technological image and features from the point of view of cable management and connectivity of located computer equipment. The structure of LAN console enables the entry and effective conduction of cabling from the raised floor all along the workpost uninterruptedly. Roomdimensions has equipped the new EMAAR Command Centre located in Dubai, conceived as such to comprise a Main NOC Area, with one annex Meeting Room and an Open Area. The proposal for the operator and supervisor workposts located in the Main NOC Area employs the LAN console product range, a top product of high performance which excels in versatility and adaptation to the 24x7 environments. The LAN console range allows to plan perfectly ordered work posts for the operators, providing for an efficient cable management, special compartments integrated into its structure for the location of computer equipment as well as for filling 2 drawer modules designed in the same image as the workstation for the use of the operators. Roomdimensions has equipped a Governmental Institution depending of the Israeli Ministry of Interior. The Crae Console linear configuration has been used in the project, which is especially designed for the organization of emergency and crisis environments, where capable solutions are required for the integration of the communications and connectivity solutions. At the same time it provides great modularity and robustness to the product. Roomdimensions Ibérica, through its local partner in Israel, has developed a new project for the Defense market. The project has been developed with the new range of LAN consoles, for creating highly ergonomic work environments and great visual lightness, a kind of wide open technical solution that provides high esthetic value to the environment. Each user disposes of a zone for the location of computer equipment, which is integrated into the structure of the control console, and a rear compartment called "Device Support System" to locate peripherals, SFF equipments and all the connectivity elements. The Ministry of National Infrastructure, Energy and Water Resources is responsible for the supply and management of energy and the natural resources of the State of Israel: electricity, fuels, natural gas, energy conservation, water, sewerage, oil & gas exploration, minerals and ores excavation. The proposal for the work posts in the Main Control Room employs a curved, closed structure console configuration from the CRAE Console range, a technical solution especially designed to organize 24x7 technological environments which require a storage capacity of electronic equipment from high to moderate, a well thought ergonomic design and user comfort. Crae Console is specifically destined for 24x7 operations environments, having as a main feature its high robustness and great capacity to organize all types of equipment inside, as well as a perfect integration and management of all wiring and connectivity elements necessary. It is considered appropriate to plan the workstations as such to be able to integrate the audiovisual and computer equipment required by each operator for his daily work, more specifically at least 1xPC and 2x monitors per operator. Each console disposes of a closed structure with 19" sections under the cable duct, allowing to safely locate and connect the PC's in an isolated environment. Thereby, the console itself counts as an organizational element, ensuring a perfect ergonomic distribution of all elements within the workplace. ADIF amplia la confianza en las soluciones de Roomdimesnions Ibérica mediante la adjudicación de un nuevo contrato de 50 unidades de sillas ergonómicas para entornos de operaciones 24x7, modelo CXO del fabricante canadiense Nightingale. Esta nueva adquisición se debe sumar a las ya más de 150 unidades suministradas durante el ejercicio del 2015, para los Puestos de Mando de Chamartín, Santa Justa, Atocha y Gutiérrez Soto. Esta cooperación con Adif, más las extensas referencias de entornos ferroviarios organizados con la silla CXO, convierten al producto como la mejor solución para la gestión y organización de entornos de operaciones 24x7, siendo un producto altamente fiable, robusto y con un excelente ciclo de vida, ideal para entornos tan exigentes como el ferroviario. Roomdimensions Iberica supplies, vía Elecnor, the new Control Centre of the Santiago de Compostela Airport. The Project Scope included the comprehensive equipping of the operating environment, with a focus on the operator control consoles. The console model used was the newly redesigned KOMPAS console range, which provides a new specific solution for the installation of the articulated monitor supports, called RAIL SUPPORT SYSTEM, which enables a perfect adjustment of all monitors all along the workpost, and a wider, new access system to the cabling & connectivity area, with more capacity to place the equipment. The operator workposts have been supplemented with the CXO range of specific chairs for 24x7 operations centers, of Nightingale Manufacturer. The CXO chair is probably the best solution for critical operations environments as per the standard FNEW 83-269E-1989: Performance Test Method for intensive Use Chairs, which certifies that the product is validated for intensive use or 24x7. All elements in contact with the human body are 100% adjustable and adaptable to the morphology of each operator, while the filling of seat uses the Enerfoam system, which is characterized by a high elastic return of the material which provides a high life-cycle and non-deformability of the material as an effect of the human body weight. In collaboration with Indra, Roomdimensions was commissioned to fully equipe the new TCDD Control Room for the High speed Railway, located in ANKARA (Turkey). This cooperation has given the opportunity to Roomdimensions to design the fully environment, including all the architectural works and decorative elements, and designing and manufacturing an specific Consoles 100% customized to the Indra’s requirement and customer needs. This project is based in a new concept of control room environment, where the consoles are adapted to the Indra’s technology used in the Railway market, offering a solution totally new, unique and with a high quality and the perfect ergonomic to the operator, guaranteeing a perfect view over the personal audiovisual system and the general information appear on the videowall. Successful proposal for the Royal Guard NOC Center, consisting of a Main Operating Room with 4 operators and a Supervisor Room located behind it, including a small Meeting Area. Both environments will be separated by a glass partition, maintaining a great visibility over the videowall screen on the NOC. The proposal employs Kompas console, a technical solution specifically designed for 24x7 operations environments, which enables a perfect space management, taking into account the fundamental principles which the equipment used in a control centre must meet, as defined by the ISO11064 normative. Roomdimensions has successfully executed the MOPM Executive Meeting Room located in Saudi Arabia, consisting of a Main Meeting Room with a Smart Meeting Table of 25 delegates. The entire project employs high quality technical solutions especially designed for the organization of executive meeting rooms and critical environments, where highly performance solutions are required, capable of integrating a larger quantity of both computer and audiovisual equipment, communications and connectivity. The MOPM Executive Meeting Table employs the CRAE Meeting system, a premium technical solution of innovative design, robustness and flexibility. Design proposal for the operator control consoles for a Network Operations Centre located in Dubai, conceived as such as to fully comply with the operator's requirements and needs for carrying out their daily work. The proposal employs LAN console, a technical furniture solution specifically designed for 24x7 operations environments, which enables a perfect space management, taking into account the fundamental principles which the equipment used in a control centre must meet , as defined by the ISO11064 normative. Roomdimensions was commissioned, via its local partner, to modernize the Royal Guard SOC, located in Saudi Arabia, composed of two environments: a Main Control Room and an annexed Crisis Room, both separated by a glass partition, maintaining thus a great visibility over the videowall on both sides. The entire project employs high quality technical solutions especially designed for the organization of executive meeting rooms and critical control room environments, where highly performance solutions are required, capable of integrating a large quantity of computer and audiovisual equipment, communications and connectivity. Design project for the workposts located in the Guard House Control Room conceived as such as to comprise a Main Control Area and a Supervisor Area, separated with a glass partition. The proposal employs Kompas console, a technical solution specifically designed for 24x7 operations environments, which enables a perfect space management, taking into account the fundamental principles which the equipment used in a control centre must meet , as defined by the ISO11064 normative. KOMPAS console introduces an innovative element called FUNCTIONAL ARC, inspired from the new wave architecture of the 21st century, which is the vertebral axis of the product allowing the sustention of all the main elements. Design project for the operator control consoles located in the Security Control Rooms of the Al Salam Palace in Kuwait, including the following environments: Security Room Block Q (3 operator workposts), the Security Room Block P (2 operator workposts) and the BMS Room (2 operator workposts). The project employs open console configurations from the Crae Console range, a technical solution especially designed to organize 24x7 technological environments which require a storage capacity of electronic equipment from high to moderate, a well thought ergonomic design and user comfort. CRAE console is specifically destined for 24x7 operations environments, having as a main feature its high robustness and great capacity to organize all types of equipment inside, as well as a perfect integration and management of all wiring and connectivity elements. The scope of Roomdimensions Iberica has included the supply and installation of the CRAE consoles in all the technical environments located in the museum, together with the required ergonomic accessories for complementing the workpost of each operator. The CRAE console perfectly complies with all the technical necessities of the environment, disposing of a great capacity of managing the required infrastructure and of providing a fast and easy access to the same for maintenance purposes. The design of the CRAE console range provides a high added-value to the environment where cutting-edge technical solutions and revolutionary designs have been employed. Avaya is a recognized innovator and leading global provider of solutions for customer and team engagement providing technologies for unified communications and collaboration, contact center and customer experience management, and networking, along with related services to large enterprises, midmarket companies, small businesses and government organizations around the world. Roomdimensions has designed the Avaya Labs technical furniture conceived as such as to fit into specific areas according to the various uses of space. It is considered appropriate to plan the workstations as such to be able to integrate the audiovisual, computer equipment and storage space required by the lab’s engineers in their daily work, keeping the space perfectly organized and ready to for a quick and easy maintenance. Roomdimensions, contracted by the Bilbao Bizkaia Water Consortium, has successfully executed the comprehensive remodeling of the Control Centre and the CPD of the ETAP de Venta Alta located in Arrigorriaga (Bizkaia). The Project has included a turnkey scope, starting from both completely emptied environments, which have been equipped taking into account all the specific and functional aspects of a 24x7 operations environment. The resulting environments have a strong corporate character and are developed with materials and high quality solutions, providing a high technological level and optimal life cycle in each of the products used. The interior design is centered on a coherent and practical space distribution, sensitive to the functionality of the control center for that to ensure an adequate mobility, a maximum comfort and full control of the daily operational processes. 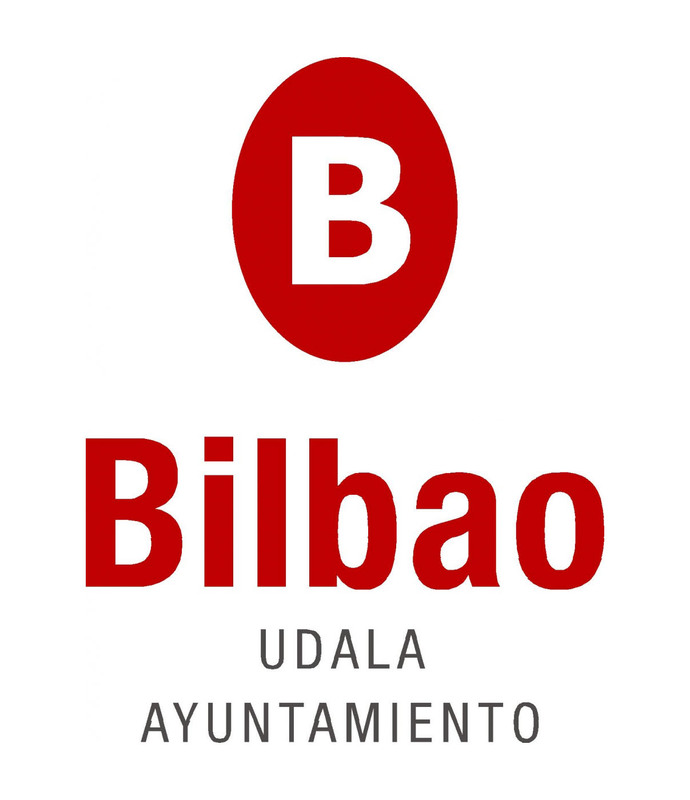 We were contracted by the Bilbao city council for the remodellation of its Coordination emergency center, located in the City council facilities in Miribilla area, in Bilbao. The scope of the project includes the replacement of all existing furniture in the control room with the new LAN consoles range, which have been specifically tailored to meet the technical requirements of the environment, facilitating the integration of the 12 operators and their systems, while contemplating all the ergonomic needs of the workplace by integrating CXO Extreme chairs for 24x7 environments. For each workstation we have proposed a customized technical solution, which enables the perfect management of all required equipment, without losing or minimizing the ergonomic aspect of the control consoles. The contract also included the supply and installation of an audiovisual system of 80" 4:3 SXGA+ in 3x2 format, manufactured by BARCO, along with all the associated technological components. In addition, a decorative coating, aiming to finish the installation of audiovisual system and provide high added and visual value to the control center, was installed, at the same time integrating the client's corporate image and improving the acoustics of the control center. Roomdimensions has been contracted to equip the Well Drilling Monitoring Room, located in the Oilfield of the Villahermosa area, where the property holds a logistics plant where from it controls the extraction and the maintenance of the various oil wells in the region. The solution employed was the range of consoles KOMPAS control, upon which a large structure was mounted to enable the implementation of a large-format audiovisual solution integrated directly on top of the workstations, via which the operators can monitor all the information in real time. Roomdimensions has been contracted by SICE to comprehensively equip the new control center of the General Directorate for Traffic located in the city of Zaragoza, Spain. The Project Scope relied on the organization of all the operational workstations of the main control room and of the annexed crisis room, employing solutions designed and developed specifically for this particular operating environment, such as the audiovisual TOTEMs of the operators. The project was developed using our highly performant range of technical furniture KOMPAS console, which allowed an excellent distribution of space and the creation of a perfect workplace for each user. Each workstation was equipped with its own cable conduction and management system, connectivity elements for computers and electronic equipment, connectivity points for the personal use of the operators, filing modules, CXO 24x7 ergonomic seating, articulated monitor supports for the management of the LCD displays, electronic compartments specially destined to the location of the computer equipment. 6 operations work posts | 4 administrative work posts | 1 Supervisor workstation | 1 Crisis Room for 14 operators. In collaboration with Revenga Ingenieros, we have supplied various models of the LAN console for the Acebuche penitentiary in Almeria. The various console models employed have been designed and developed specifically for this project, taking into account the technological requirements of each work post and the technical specification that our client provided us. Roomdimensions was contracted to equip one of the Security Control Rooms of the Abu Dhabi Police, where it located the new Crae Control Consoles. The Crae Control Consoles are a line of product designed specifically for the Midlle East Market, providing high performances and ability to manage electronic equipment within the work place. Roomdimensions was contracted, through its local partner, for the execution of the integral remodelling of the PEMEX Board Meeting Room in Mexico, delivering the first units of the Kompas CRAE multimedia consoles range in the Mexican market. The scope of the project has been aimed at the renovation of the Board Meeting Room of the Poza Rica plant, equipping it with the best furniture solution for a technological environment. We have finished the E.D.A.R Controlroom for the Water Consortium in Bilbao, Spain. RDi has designed all the 24x7 and Data center environment, providinng and developing the technical furniture and infraestructure. KOMPASconsole is one of the product used, which is the reference to design the rest of the environment. The scope of the project is aimed at the renovation of the facilities of the Oil company, providing them with the latest technology in control systems and operations supervision. These new facilities will provide greatest efficiency and a reduction of the time taking decisions to any emergency situation, and will be the perfect space where the authorities involved will coordinate the crisis situation and the civil protection. We remodeled for Invensys Dimetronic, the Feve command post in Bilbao. The scope of the project contemplated the renewal of all operating consoles of the command post, ergonomic solutions for operators, partitioning and file systems, coating of the audiovisual system, UTP cabling infrastructure, transfer of operation posts on technical room and KVM solutions. Among the solutions to using we include the new ROOMDIMENSIONS system, KOMPAS console, which will manage and organize, optimally, the working environment of each operators and equipments that they must use in the day to-day on their operational work. We remodeled, for Indra Sistemas, the main control center of the Lithuanian railway company, Lietuvos Gelezinkeliai, located in Vilnius. The scope of our project has been the integral design of the control center, technical assistance for coordination and supervision of different activities and supply and install all technical and auxiliar furniture used, as well as the control room, crisis room and control power room. We must emphasize the use of control consoles like KOMPAS console as the main element in the organization of all work posts of users. We take KOMPAS console as a reference when we design all operating environments 24x7. We collaborate with Indra Sistemas and U.T.E. Instalaciones Metro de Málaga in equipping the new railway traffic control centre of Metro de Málaga. The scope of our collaboration will be the installation of all the technical and auxiliary furniture, both in the control room (PCC) as well as in the annexed units; command post for the room responsable, printing and editing area, meeting area , archive and filing areas, etc.. Solutions used include the new system of RoomDimensions, Kompas console, that enables optimal management and organization of the work environment for each one of the operators as well as for the equipment they must use. ROOMDIMENSIONS Ibérica collaborates with INDRA in the supply of new KOMPAS consoles for CTF (Centro de Tecnologías Ferroviarias) in Malaga. With the CTF, ADIF aims to position the Spanish railway system at the forefront of European technology. This technology center and the complementary ring rail will be on vanguard in research, development and innovation on rail sector. Supply and installation of KOMPAS consoles in the control center of rail operations in Euskal Trenbide Sarea Atxuri station, Bilbao. The scope of the project has provided the refurbishment of the entire technical and auxiliary furniture of command post and the crisis room, as well as KVM technology implementation of Rose Electronics manufacturer, which allows you to centralize all components of the user PC to a technical room, so the workplace and the environment remains clean, tidy and safe. For this we have created a FTP cabling infrasructure ranging from the technical room to each work posts, extending video signal, keyboard, mouse, audio and USB services that required for each operators. Supply and installation of new audio systems models for meeting rooms and the entrance hall of the new business center of the Port Authority of Tarragona. The project has provided the organization of administrative rooms, meeting room management and presidency meeting room, taking into account the different needs, both audio, video, and content management that allows remote display information corporate in the entrance Hall. Detailed information about the project in attachment PDF. Red Electrica Nacional (REN) control center. Roomdimensions has developed for SIEMENS the new control centers for energy management of National Grid in Lisbon. These new environments have been fully remodeled contemplating a new architectural design, new facilities, the integration of specific technical furniture, and all necessary ergonomic solutions for operators, such as 24x7 technical chairs and articulated supports for managing all LCD monitors. The scope of the project areas have been Helpdesk1 with 13 operators, Helpdesk2 with 11 operators, Laboratory with 14 operators and Safety area of CPD with 3 operators. Roomdimensions has actively collaborated in the development and implementation of the new control room for the Port Authority of Duero Leixoes, located in Porto. The control room consists of 3 large rooms and a common break area for operators. From this control room all maritime traffic and the port CCTV is displayed and managed. Roomdimensions has worked in conjunction with BARCO and Casaserras in the development and implementation of audiovisual systems for the RDP main TV set. The system comprises a projection panel, 4x3 format, rear projection 50" screen. Roomdimensions along with ROSE ELECTRONICS developed KVM entire infrastructure for the new operations control room of Barcelona's subway Line 9 .KVM technology increases the switching speed between applications of each operator, enhancing the ergonomics of each working desk and allowing to relocate each user's electronic equipment to centralize it in the Data Center of the property. This improves productivity and greatly facilitates maintenance tasks of all the used equipment. Equipment used: extensors (ViewLink) switches for keyboard and mouse (Vista), switches for computers with multiple monitors (MultiVideo) matrix switches Cat5 (Xtensys) usb2.0 extender. RoomDimensions along with ITworxs Pro have worked with Telefónic Servicios Audiovisuales for the development of new infrastructure of Digital Signage for one of the emission centers of Radio Televisión Española in Madrid. Material Used: Fiber-optic extenders cristalview; Videosplitters. Caixa Geral's turnkey security control room project, in Lisbon, and all its annexed spaces. The project inclouded the development and execution of all internal architecture of the rooms and audiovisual infrastructure, using BARCO products as the preferred solutions. The project idea is based in the concept of a "social control room", with some annexed environments designed to draw the user's day to day more comfortable and enjoyable. Roomdimensions collaborates hand in hand with Thales, Casaserras and Barco in the implementation of the new audiovisual system of the Refer's OCC control room in Lisbon. This control room is probably the most significant and one of the most innovative ones in the Iberian peninsula, with the best technology of BARCO manufacturer and one with the most shocking views.